In this post we will guide you through the process of setting up your application for the use of Dropbox. There was a policy change in the way developers are supposed to handle authentication with Google services. Because Dropbox allows login with Google accounts, this change also affects the way you have to authenticate with Dropbox. Therefore, the setup is slightly different than the one you know from other services. The following paragraphs will illustrate the changes required to successfully configure a Dropbox application as well as the correct use of the advanced authentication. What is CloudRail Advanced Authentication? By default, CloudRail uses in-app-WebViews to perform user logins. When using Dropbox, it is however necessary to login users using an on-device browser because Drobox does not allow user logins from in-app-WebViews (except if your app’s status is “Development”). This is what CloudRail’s Advanced Authentication feature is for: it redirects the user to the service’s website in a browser on their device. After logging in, the website will redirect the user back to the app, passing along an authorization code. 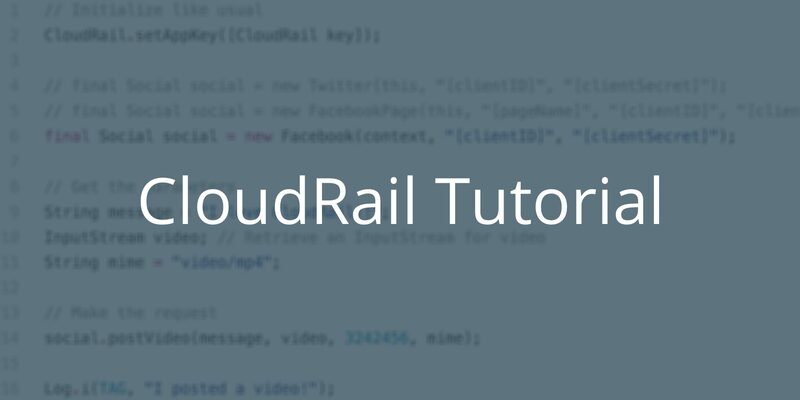 The CloudRail SDK takes care of all steps it possibly can, yet there are some minor steps that need to be handled within your application. There are three possible ways how you can make Advanced Authentication work that are described in the following. For all of them, set up the CloudRail SDK as usual, create the service and activate the service’s Advanced Authentication feature. The other steps depend on the method you choose. The first possibility is to set your Redirect URI to https://auth.cloudrail.com/YourPackageName or https://auth.cloudrail.com/YourBundleID. Our website will then call your app using the package name or the bundle ID respectively. This is the easiest way of implementing Advanced Authentication, but it implies that your users’ authentication codes will be passed along via the CloudRail servers. The second possibility is that you set up your own website that will redirect the user to your app, using its package name or bundle ID. You then have to set this website as the Redirect URI. For this solution, you don’t have to trust our servers’ integrity, but you will have to set up the website yourself. On the client side, you have to take the same steps as mentioned above except from changing the redirect URI. This solution is not possible on iOS, but only on Android. Instead of using a website that redirects to your app, you let your app listen to the Redirect URI. Therefore, you should set the Redirect URI to a website that wouldn’t be called by the users themselves, for example https://www.cloudrailauth.com/auth. The advantage of this solution is that you don’t have to implement the server-side redirect to your app. However, since you’re listening to a regular URL, the Android OS will not directly switch to your application. Instead, it will present the user a list of applications that can open URLs (including installed browsers) so that the user can choose from them. For this approach to work, the user has to recognize and choose your app from the selection. The steps for this are the same as setting up a listener for your package name described below, but instead of your package name, you have to indicate your website’s URL. Add the intent filter to the Activity that triggered the authentication. Notice that we add <em>android:launchMode=”singleTask”</em> to the activity which will prevent Android from restarting your Activity when performing the redirect. Add the following right underneath the top level.